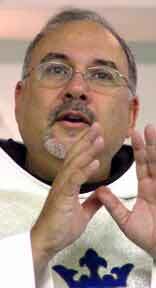 Richard Trezza, OFM, is both a regional and national spiritual assistant for the Secular Franciscan Order in the United States. It seems like yesterday when I sat down a year ago and wrote a Lenten article, complete with a picture of Lake Trasimeno near Assisi. We are two months into a new decade of a quickly aging millennium but some things never change. The liturgical clock continues to tick and we find ourselves in the new Lent of 2010. As Christians but especially as Franciscans, we must not yield to the temptation to give in to despair about yet another wasted season of penance and preparation for Easter … another season of broken resolutions … starts and stops. There is always something exciting about beginning again with a reflection of the three elements supporting any Lenten season. 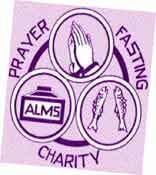 They are prayer, almsgiving and fasting. Perhaps you remember the irreverent way we sometimes describe the understanding of the old-time church life of the laity … pray, pay and obey? Well, I would like to make a connection with those three elements of Lent and say that praying, paying and obeying can find new meaning in our lives as followers of Francis and Clare. Prayer is of course fundamental. Borrowing from our Carmelite sister from Avila, that prayer is basically “conversation with God,” we can see immediately that one can never live without praying. Without it, we risk not keeping in touch with the One we say we love. Prayer is always that reality check that keeps us honest and in touch with God’s love and forgiveness and a wonderful conduit of grace to us. Being Franciscan and not praying is inconceivable. By now we know what works for us in our prayer lives and that must be cultivated. Almsgiving or to use the term in our older analogy, “paying”, is that invitation to give of ourselves in a very concrete way. It is a moment for us to come to terms with what it is that truly sustains us. Is it really money or “stuff” with which we surround ourselves? Is it not the Lord? If we have Him, we have everything we need. Fasting is our “obeying”. That is, listening to the hunger around us … the hunger for food, for justice, for peace, etc. When we fast, we hear better and are freed up to be proactive, not lethargic with our own fullness. We need look no further for things to “do” or to give up for Lent. Just living the Rule as Brothers and Sisters of Penance will suffice. Happy Lent!